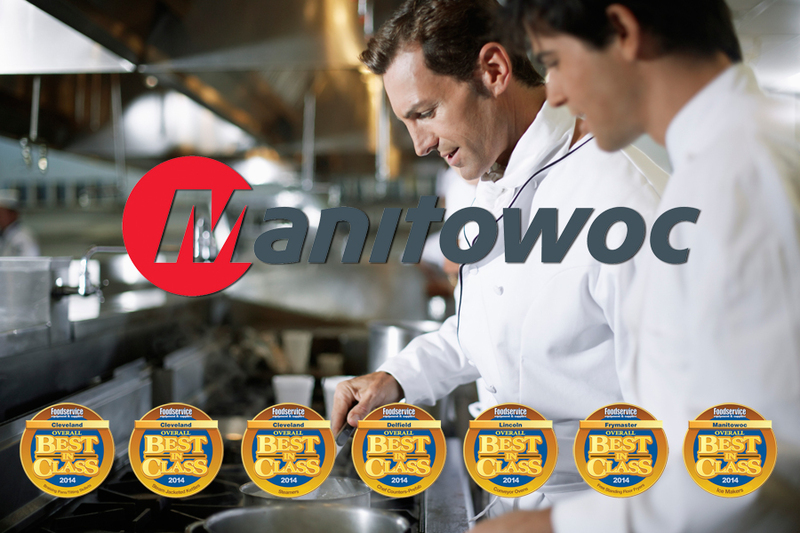 New Port Richey, Fla. – October 2, 2014 – Foodservice Equipment & Supplies (FE&S) magazine just released the results of its annual Best in Class Survey and this year five Manitowoc Foodservice brands have won prestigious 2014 Overall Best in Class Awards in 7 categories. Manitowoc® Ice for Ice Makers. As a group, Manitowoc Foodservice outpaced the competition by winning the most categories in Heavy Duty Equipment. Each of our deserving brands has done an exceptional job of demonstrating the reliability and adaptability of their products in the foodservice marketplace. Throughout the fourteen (14) years that FE&S has championed the Best in Class Survey there have been two Manitowoc Foodservice brands that have never given up the top spot of Overall Best in Class in their category. Our 14-peat winners are Frymaster and Manitowoc Ice. “We’re grateful to equipment owners everywhere and to our channel partners for their continued recognition of the performance and quality of our leading brands,” said Caitlin Rodgers, Vice President of Marketing, Manitowoc Foodservice. How the survey was conducted? During the past few months FE&S polled its subscribing foodservice operators, dealers and consultants, asking them to evaluate equipment and supplies manufacturers on seven critical characteristics that impact their purchasing decisions. Manitowoc Foodservice brands have established the benchmark for understanding and meeting the needs of the entire distribution channel in their category. For the full FE&S Best In Class 2014 report, click here. About Manitowoc Foodservice: Manitowoc Foodservice, a division of The Manitowoc Company, Inc., designs, manufactures and supplies best-in-class food and beverage equipment for the global foodservice market. Manitowoc Foodservice offers customers unparalleled operator and patron insights, collaborative kitchen – solutions, culinary expertise, and world-class implementation support and service, whether locations are around the corner or across the globe. With operations in the Americas, Europe, and Asia, the company has a portfolio of best-in-class brands including Cleveland, Convotherm®, Delfield®, Fabristeel, Frymaster®, Garland®, Kolpak®, Koolaire®, Kysor Panel Systems®, Lincoln, Manitowoc® Ice, Multiplex®, Merrychef®, Servend®, and Manitowoc® Beverage Systems. For more information, visit www.manitowocfoodservice.com. About The Manitowoc Company, Inc.: Founded in 1902, The Manitowoc Company, Inc. is a multi-industry, capital goods manufacturer with over 100 manufacturing, distribution, and service facilities in 24 countries. The company is recognized globally as one of the premier innovators and providers of crawler cranes, tower cranes, and mobile cranes for the heavy construction industry, which are complemented by a slate of industry-leading product support services. In addition, Manitowoc is one of the world’s leading innovators and manufacturers of commercial foodservice equipment, which includes 24 market-leading brands of hot- and cold-focused equipment. In 2013, Manitowoc’s revenues totaled .0 billion, with more than half of these revenues generated outside of the United States.